Thread's new headquarters in Homewood. The Pittsburgh-based clothing company Thread International has a new line of backpacks with a story as good as their style: Like all of Thread’s products, the backpacks were once plastic bottles clogging the streets of Central America. Since its founding in 2010, Thread has refined a method of recycling plastic waste of all kinds into a soft canvas-like material. Their latest design — a sleek bag meant for grownups rather than school kids, loaded with features and available in three colors — is available via a new Kickstarter campaign that’s already exceeded its goal. Ian Rosenberger, Thread founder and CEO, was inspired to start the business by the intense levels of pollution and poverty he witnessed while traveling in the Caribbean. While the company has found success partnering with brands like Nike and Timberland since its initial founding, these new backpacks represent Thread’s first direct-to-consumer product. Working with a $1.5 million grant from the Richard King Mellon Foundation, the company was able to move from their East Liberty office into a larger workspace in Homewood in March of this year. In addition to serving as a space for Thread’s design and marketing teams, the new offices provide the company with space to train and employ staff from the local community to stitch and assemble the bags — creating jobs to help battle unemployment in Homewood while also growing their eco-friendly business. In addition to hiring in Homewood, Thread has several full-time employees on the ground in Haiti and Honduras to coordinate with local partners. Those staff members employ teams of local residents to collect plastic waste, which is then processed and shipped to the United States as usable cloth. The company is also looking to expand its operations to Guatemala and Southeast Asia in the coming months. 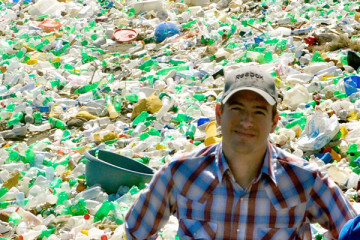 According to Thread’s website, they have shipped more than 200,000 pounds of recycled plastic out of Haiti since 2010. 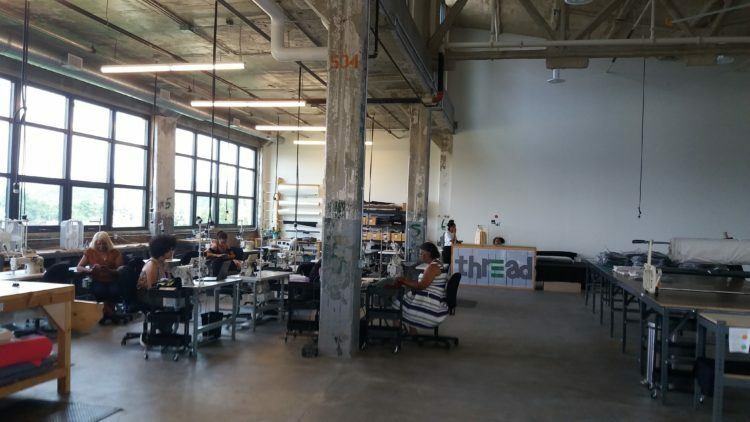 Speaking to NEXTpittsburgh at the Homewood office, head of product Sam Klein said that Thread’s business model is designed from the bottom up to eliminate the waste that defines so much of the clothing industry. The backpacks will begin shipping in February of 2019.